I just wanted to share with you my all-time favourite web tool for vanilla wow (in case you haven't heard of it yet): Wyri Maps: Vanilla. 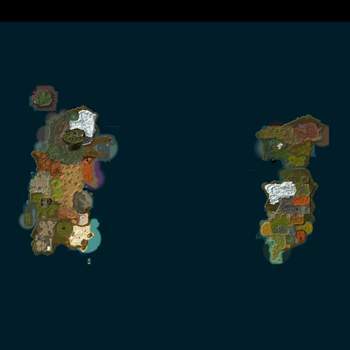 This dude has taken the highest-resolution minimap files from the game client and stitched them together to produce a world map of vanilla that you can navigate as if you were using Google Maps. You can zoom in and out, pan from side to side etc. and the level of detail is amazing. I wish those endless profession 1-300 and levelling guides would use this tool more often as I think it is far more accurate and representative of the actual terrain than the world map files themselves. Unfortunately I can't seem to get the 'static map' generator working for some reason, so I just use it by navigating somewhere and then taking a screenshot, which isn't ideal but does the trick. It's all open source and up on Github too which is great. Also! Any developers out there think they could get this up and running on barrens chat? Would be kind of cool to add pins for all the flight points and when hovered over show the other flight point connections + price @ neutral reputation/filterable by horde/alliance etc as a tool for the site. EDIT: I managed to get an embedded version working offline but it returns error 500 (server error) on anything but the default map. What a shame! I've emailed the creator. Somebody needs to get on combining this with data from Gatherer! Why not already throw in pfQuest while we're at it. Search for anything and it shows where it is located. Much sexiness. Very nice. That's really cool. I never realized SW had harbor in Vanilla, just blocked off. I though there was nothing behind these gates. I wonder if it's possible to get there somehow. IIRC there's an invisible wall so you can't just go down to Western Elwynn and swim up to it. It's been 9 years since I've tested that though so might be wrong. The linked map is from the minimap tiles from Wrath. Hence why it has Stormwind Harbor, Deathknight starting area aftermath, shaper's terrace? in Un'Goro, as well as Mudsprocket from TBC. There was Newman's Landing in the area near what eventually became the harbor. You are right! I must be blind. That's a shame, I was thinking it was authentic vanilla WoW map. Newman's Landing is to the left of Dun Morogh and still in the game to this day. It can be seen on the map if you zoom in to that location. There's an incredibly inaccurate rumor that this is the place players "spawned" into for a split second when creating their character, but that is untrue and quite literally makes zero sense from a technical perspective. If you were a character loading into the Kalimdor map, why on earth would your PC be forced to load a chunk of a different continent map (and load into a different server since continents are instantiated), and then somehow then be forced to load an entire different chunk, say, Valley of Trials in Durotar.... for... what benefit? There is none. It makes 0 technical sense and I think in one of the Q&As I saw a Blizzard employee finally say it was just a random area the creators made finally putting the rumor to rest... yet people still circulate it. Love to see the great ideas you lot are having, some of those I'm already working on getting into WyriMaps. But since it's enough work to get that onto a map for the current expansion I gladly help you on your way doing it for classic. It could get even better, in the last expansion Blizzard doubled the resolution of most minimaps so I'm hoping they will do the same for the Classic minimaps. Well I am working on a tool to embed maps on sites: https://www.wyrimaps.net/embed it has a long way to go. 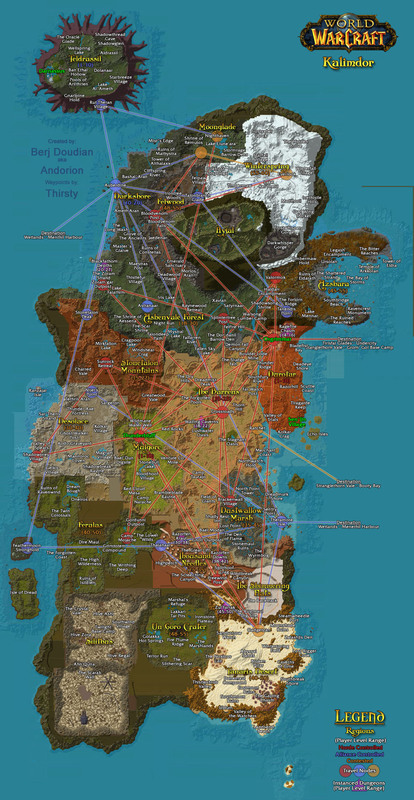 But the biggest challenge is to translate ingame coords per son into world map coords to make it more easily workable. @WyriHaximus great work on the maps my friend - I thought you’d stopped developing after I saw your github! Awesome to hear you have future plans re: double res minimap files (this would be so cool and also quite possible seeing as the 1.13 client is going to be ‘newer’). One last thing - any chance you have tiles for the 1.12 client as opposed to the WOTLK ones currently in place for the vanilla map? Thanks! Yeah been working torwards those features for a while not. There are two paths in doing that, either do everything by hand, or use datamine the client, currently working my way through the latter. Not yet, the site has a WIP point editor when you login but it doesn't do more then placing points. Also you mentioned a 500 error when embedding, could you email me the details?